With so many treatments out there, it can get confusing for anyone, no matter how educated you are! That being said, the more empowered and educated that you are as a patient, the better. We ALL experience our pain, our symptoms, and our treatments differently. As I’ve stated many times before, what works for me may not work for you, and vice versa. It is very important that we can start conversations with others who are in our same boat to find out how they responded or reacted to their treatment, so that we can get a feel for what we may be in for. That being said, that’s all it is – just an “idea” of what “may” happen. They may have vast success with a drug that doesn’t work for you – or, they may have a horrific reaction to a drug that is near-miraculous for you. It’s important to hear out others’ stories and to compare tales, but, it can’t be our only source of information. Don’t rely on hearsay when choosing your treatments, or let someone’s negative experiences dissuade you from trying a new therapy or drug that you and your doctor deem appropriate. However, if your doctor recommends a drug that YOU don’t feel comfortable with, don’t feel that you “have” to try it. We are all entitled to our own opinions, and, as lifelong patients of many of these conditions, we NEED to have our own voice. So, be sure that you can cultivate open dialogue with your doctor. Don’t be afraid to voice your opinions or concerns. Make sure you tell him or her if the medication is making you sick, or if you feel it isn’t working, or if you want to try something new. As a patient, this is your right so do NOT be afraid. Educate yourself. If a doctor recommends a drug to you, do research – and no, I don’t mean JUST going on Twitter and Facebook. Read up on it from reliable websites, books, or get info from the Arthritis Foundation. Once you have the facts, then you can feel free to ask your social media pals, online buddies, and real-life friends and family member for their input, experiences, or opinions. Always arm yourself with both quantitative and qualitative research. Quantitative research is based in facts, science, and statistics. Qualitative research is based on human experience, opinions, emotion. I’d say, to be the most educated and empowered patient, that making yourself knowledgeable on both sides of the equation when dealing with choosing a treatment is best. Know ALL of your options – biologics, immunosuppressants, DMARDs, NSAIDs, narcotics, naturopathic remedies and holistic options. 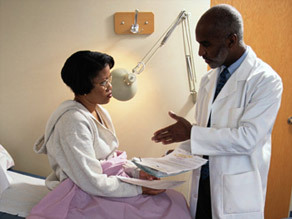 Don’t be afraid to ask questions – of your doctor, and of other patients – so that you can make informed decisions. Lastly: always look out for yourself. This is YOUR life. Tags: advocacy, advocate, Arthritis, Arthritis Ashley, Arthritis Foundation, Ashley Boynes, Awareness, Chronic Illness, E-Patient, education, HCSM, healthcare, Mid Atlantic AF, patient. Bookmark the permalink. ‘We are all entitled to our own opinions, and, as lifelong patients of many of these conditions, we NEED to have our own voice.’- Yes indeed Ashley…I completely agree with you. One should do the howework about a new drug/ treatment option. The ONLY thing- dont get prejudiced by what you read/ hear. Speak about your concerns to your Rheumie & take the final decision. Well said, I couldnt have said it better myself. The more knowledge the better in making well informed decisions, medically or in life in general.